Jo Cox, a member of the Labour Party in the British Parliament, died Thursday after an attack by a lone man who shot and stabbed her in West Yorkshire following a regular public meeting she held with constituents. Her alleged killer is Thomas Mair, 52. According to eyewitness accounts, which are still under investigation, Mair was armed with a knife and a gun, either antique or homemade, and may have shouted “Britain First” when he attacked Cox, a possible reference to the far right Britain First party, whose leader, Paul Golding, is a former member of the white nationalist British National Party. The Daily Telegraph reported that Mair’s brother claimed Mair has a “history of mental illness,” and neighbors called him a “loner,” but he also has a long history with white nationalism. According to records obtained by the Southern Poverty Law Center Mair was for decades a dedicated supporter of the National Alliance (NA), the once premier neo-Nazi organization in the United States. 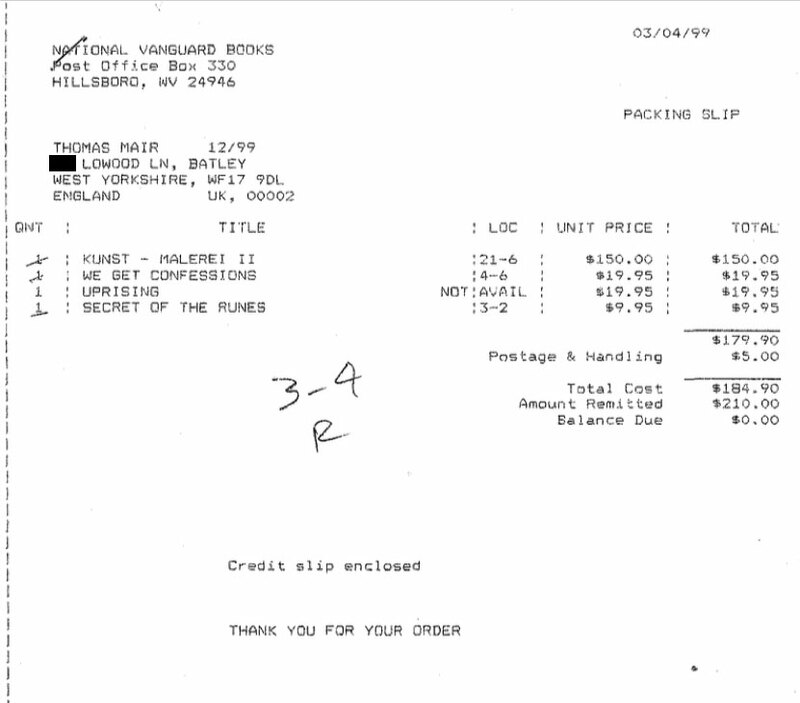 Mair purchased a manual from the NA in 1999 that included instructions on how to build a pistol. 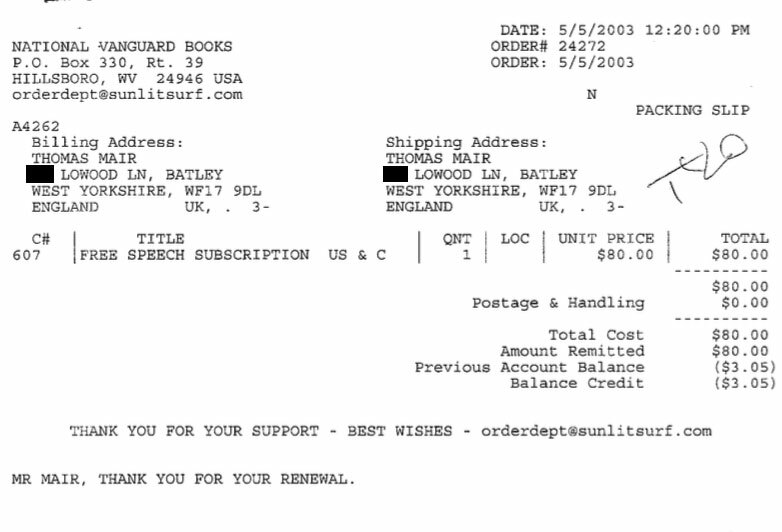 Mair, who resides in what is described as a semi-detached house on the Fieldhead Estate in Birstall, sent just over $620 to the NA, according to invoices for goods purchased from National Vanguard Books, the NA’s publishing imprint. 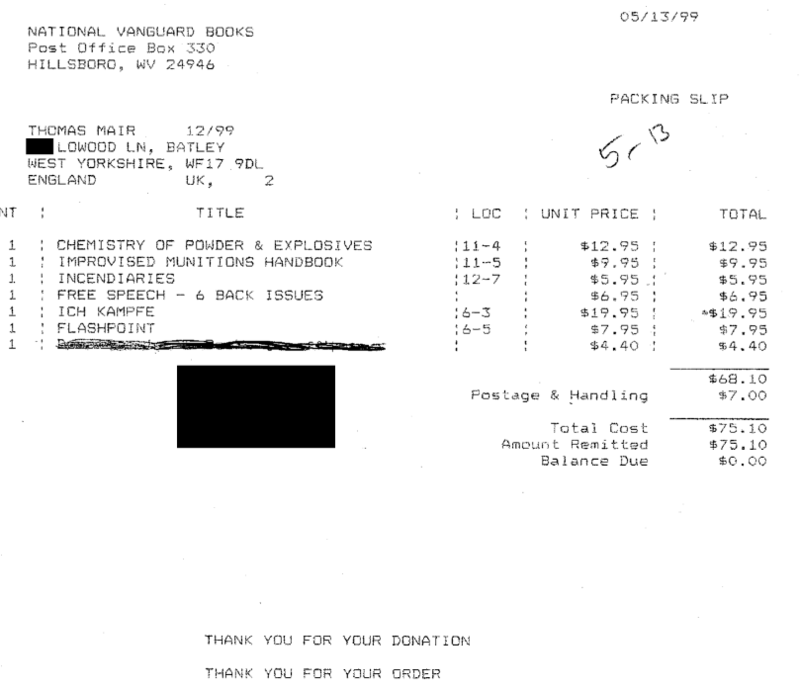 Mair purchased subscriptions for periodicals published by the imprint, and he bought works that instruct readers on the “Chemistry of Powder & Explosives,” “Incendiaries,” and a work called “Improvised Munitions Handbook." Under “Section III, No. 9” (page 125) of that handbook, there are detailed instructions for constructing a “Pipe Pistol For .38 Caliber Ammunition” from components that can be purchased from nearly any hardware store. The NA may be best-known for the work of its now-deceased founder, William Pierce, a former physics professor who also wrote racist novels. One, The Turner Diaries, tells the post-apocalyptic fictional story of a white man fighting in a race war that may have provided inspiration for Oklahoma City bomber Timothy McVeigh. 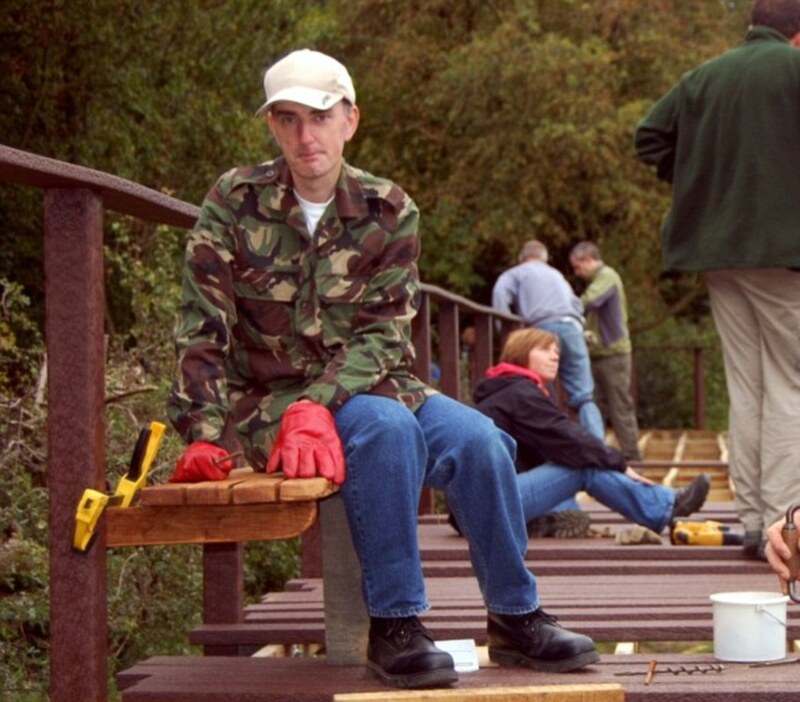 Cox, 41, known as a rising star in the Labour Party, was an advocate for Syrian refugees. She had worked as an aid worker in developing countries and went on to become head of policy at Oxfam. She had also worked as an advisor to Sarah Brown, wife of the former Labour Prime Minister Gordon Brown, in women’s and children’s health campaigns. 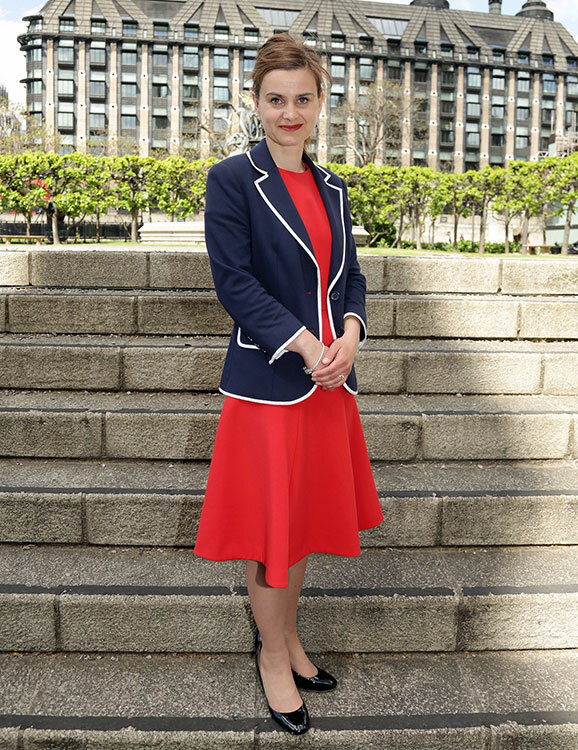 Cox was elected to Parliament in 2015 and quickly gained a reputation for taking on her own party’s leadership. She supported staying in the European Union in the face of the upcoming so-called “Brexit” referendum, which will determine whether the UK leaves the European Union. 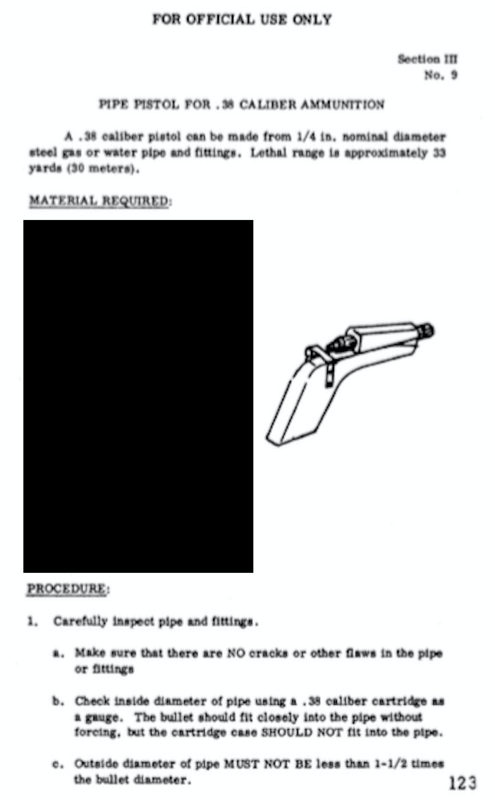 The "Improvised Munitions Handbook" is among the books purchased by Mair from the National Alliance, which includes these instructions for building a homemade gun. 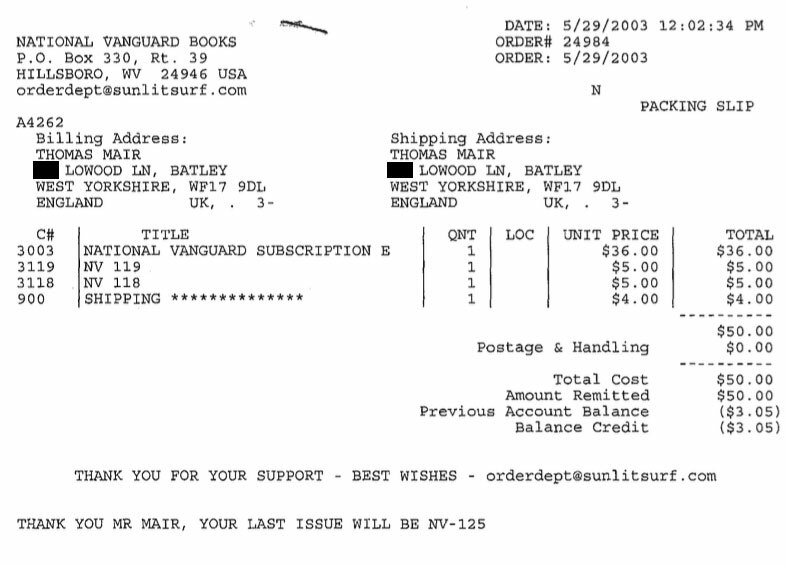 Order Mair made in May of 1999 from National Vanguard Books. Includes handbooks titled "Chemistry of Powder & Explosives" and "Improvised Munitions Handbook."